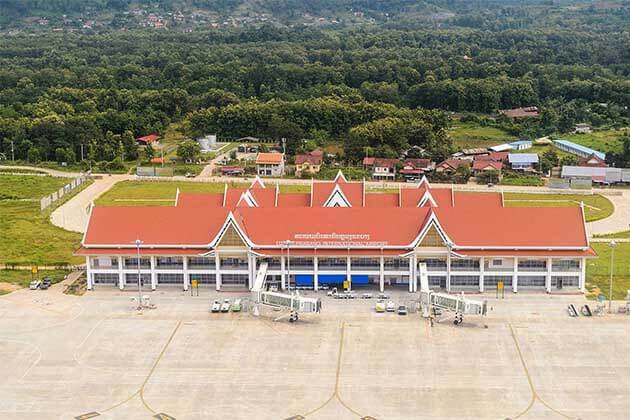 Travel in Laos, certainly, you will be amazed by the scene of the landscapes with Lao’s natural beauty, which is recommended as a draw by many travelers. For these days in the best ecotourism experiences in Laos, enjoy your time in the remote mountains, vistas along unpaved roads, secret waterfalls, meet the ethnic minorities and take part in the ecotourism activities in Laos. The first destination in the Laos ecotourism experiences is the Gibbon Experience which is a once in a lifetime adventure. 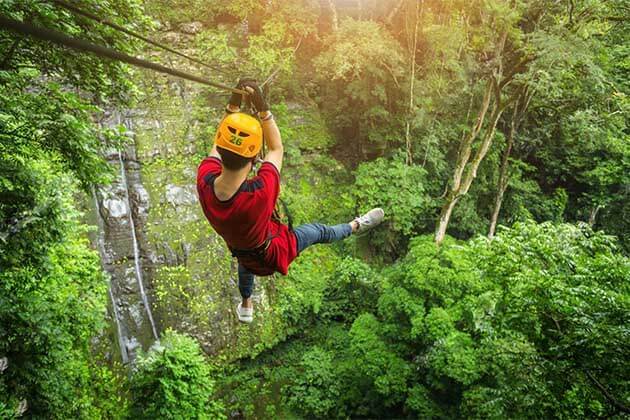 Go through the Jungle of the most northwestern province of Laos, and try to enjoy a strange feeling which you never tried in another place, sleep in the treetops with 30 – 40 meters which are accessible by zip line. For anyone who likes a sound of nature, this is the best chance for you. Leaving the noise of the city to live in natural life, listen to and look for elusive and endangered gibbons in the forest. At Bokeo Gibbon Experience, two and three- day tours are available, however, the children between eight and 12-year-old paying half price. 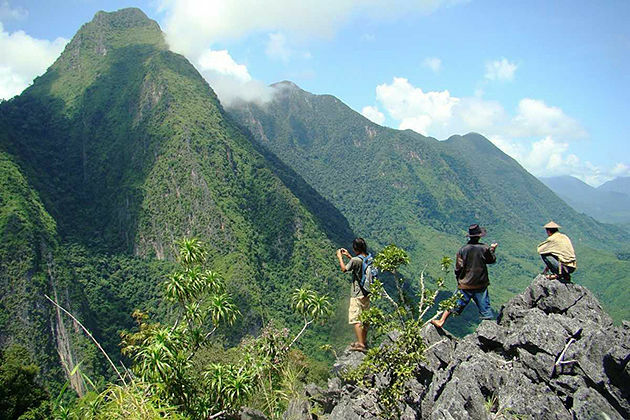 Go trekking tour is one of the special tours in Laos, which focus on responsible tourism including hiring Laos staff, connecting visitors to local people. 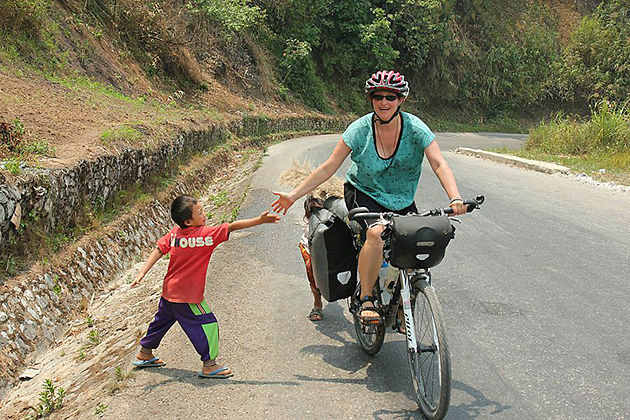 Go trekking offerings include one to three-day adventures in around Luang Prabang and Nong Khiaw which consists of many eco-tourism activities such as cycling, trekking and visiting Hmong and Khmu villages. 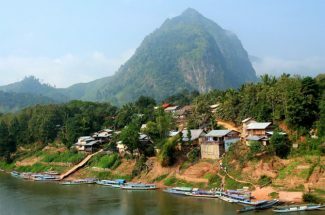 You can also see the mountains, waterfalls and meet the people of northern Laos. Located in the northeast of Laos, the Nam Et- Phou Louey National Protected Area is the largest in Laos. an only 24-hour tour, the visitors have a wonderful moment by taking a traditional longtail boat ride during the day and offers some great nature activities that include bird watching, wildlife trekking, nighttime wildlife spotting, medicinal plant, and easy hiking. 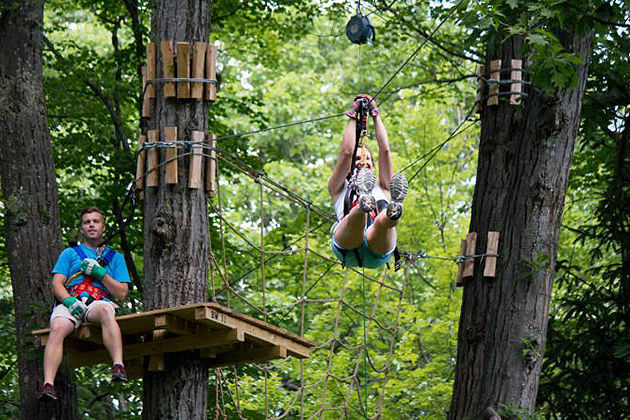 The Nam Nern Night Safari is the winner of “World Responsible Tourism Award” in 2013 and 2014. 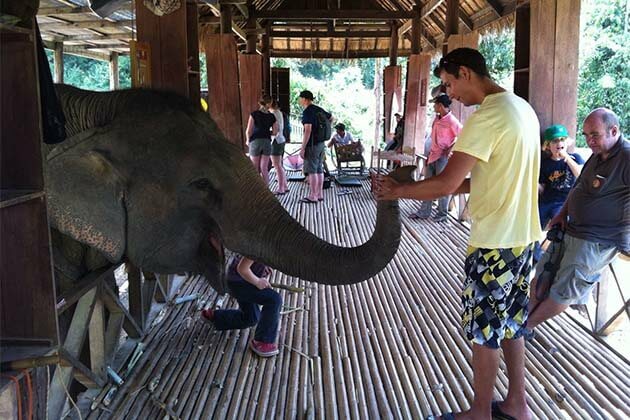 And the wildlife Conversation Society has been continuing to develop the ecotourism products to connect tourists to local people who will be incentivized to protect endangered species. 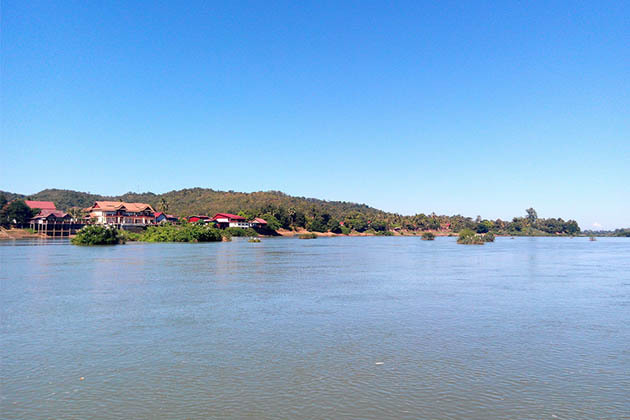 Moto Laos Tour is one of the interesting experiences in Laos. Upon to your days in Laos tour, from one to 12 days for all levels of riding experience from beginners to experts on manual motorcycles on the dirt road. 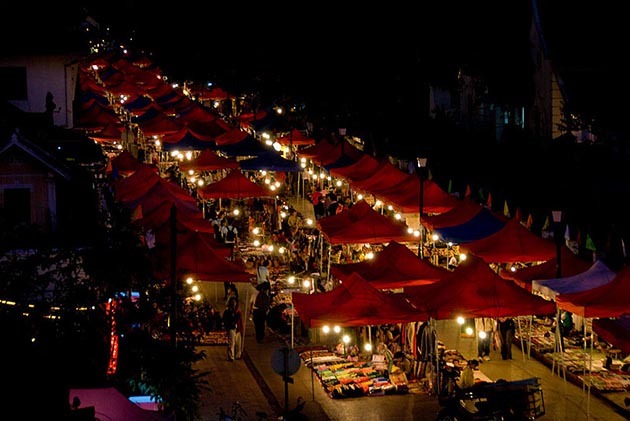 The travelers can choose the beautiful roads such as Vientiane to Luang Prabang, Luang Prabang to Pakse, Nong Khai to Phongsali and anywhere you want to go. 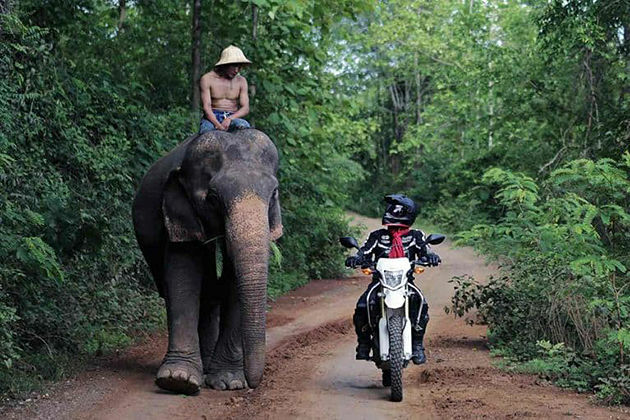 As the same with Moto riding in Laos tours, Biking Laos is one of the best ecotourism experiences in Laos. No matter you have experiences with cycling or not, the experienced team will make sure you have a great time in the Luang Prabang road or Vientiane road. 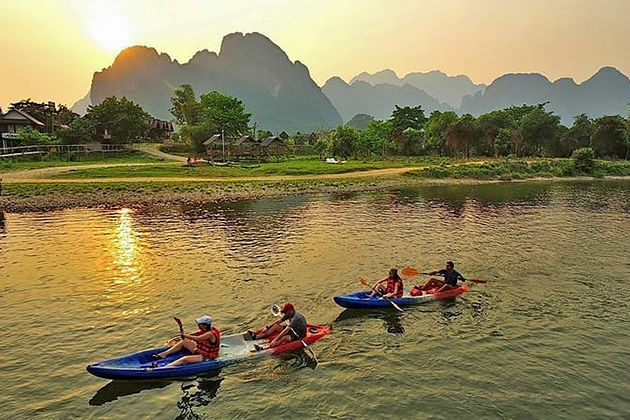 Upon your tour days, the route may be longer with some destination as Nam Ngum, Vang Vieng, Kasi, and Xayaboury. 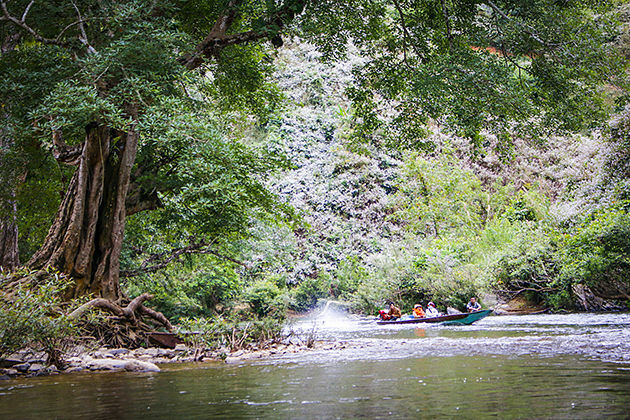 As its name, Green Laos Discovery Tours is also the ecotourism experience in Laos. with the main of this tour to bring the visitors to the rural which least possible environmental impact. Check out their offerings in the Khammuane Province including a two day Cave Kong Lor adventure full of kayaking, trekking, and cycling. It’s only three days at Limestone Forest experience takes visitors to the Hin Namno National Protected Area which include kayaking 11 km through Xebang Fai Cave. And other places from one to two-day excursions including homestays, caves, trekking, and kayaking are available. 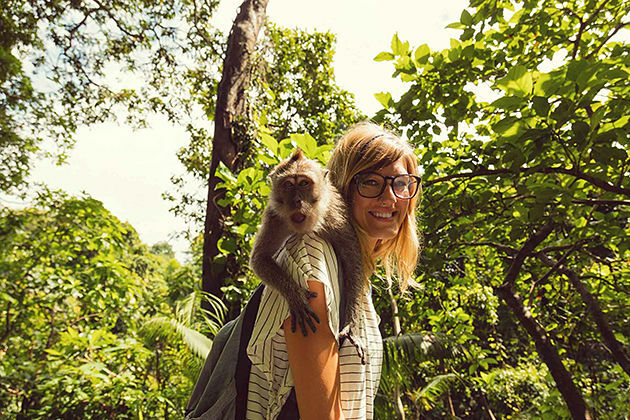 Monkey Sanctuary is one of the experiences in the Laos Wildlife Sanctuary. On these tour days, the visitors have a chance to see the wildlife of the monkey as well as the other animals generally. The monkeys which are rare and previous, are picked up from other parts of the world, nourished and tended to a special regime, guaranteed to be the best health.